Facebook, Now A Days Adding More Useful Services To Its Mobile App. Recently A New Section Is Added Which Is Of Movies. The Social Giant Facebook Is Adding New Features Other Than Its Main Target Which Is Of Connecting People. Facebook Also Offers A Number Of Services To Users Like Find Wi-Fi, Safety Check, Explore Feed And More. You Can Also Order Food Using Facebook App, Get Weather Updates, Check Out Near By Restaurant. 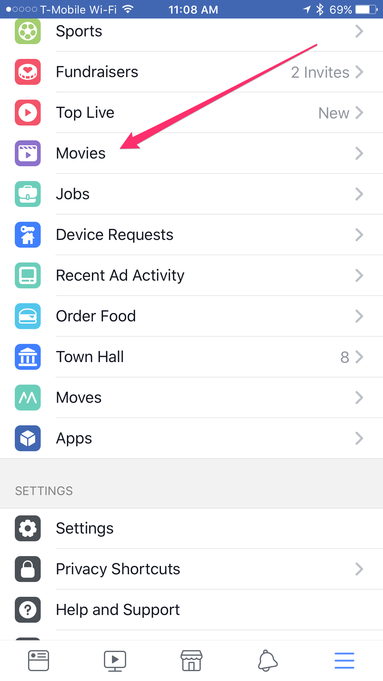 All Of These Services Are Featured In Main Navigation Of Facebook App. A New Service By Facebook Is On The Way Which Is Of Movies. 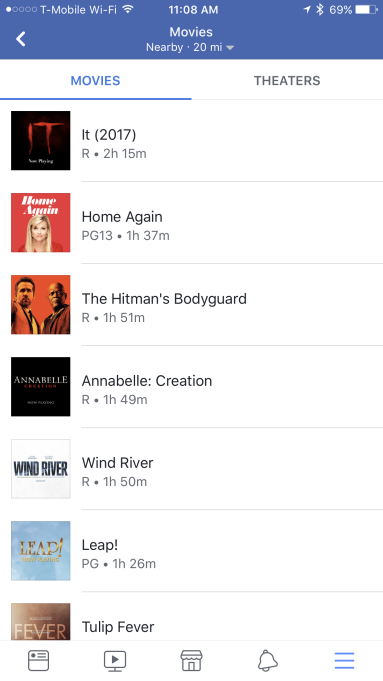 Movies Section Is Currently In Testing Mode. This New Feature Just Appeared In The Facebook App‘s Main Navigation. This New Feature Offers A Way To See Which Movies Are Playing Nearby, Available Showtimes. A List Of Local Theaters And Their Movies Show Times/Selection Info Also Available In This Movies Section. 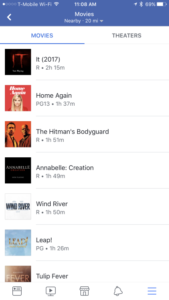 The New Section Integrated With Fandango’s And Atom Ticket’s Booking Service, So Users Can Buy Tickets RIght From This New Movies Section. However, It Is Unclear That When Will This Feature Available To All, Is It Only For U.S. People Only Or Facebook Expand This To More Countries Also. Facebook Is Adding Those Services And Features Which Performed In Other Apps By Users. 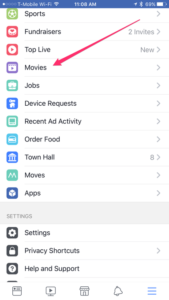 In Short, Facebook Wants To Keep You In Its App Instead Of Searching Or Using These Services On Google Or Other Apps. Facebook Main Navigation Has Food Delivery Service, Weather Updates, Instant Games, Explore Feed, Trending News, QR Code Scanner, Wi-Fi Finder, Saftey Check And More. According To A Report, Facebook Plans To Invest 1 Billion Dollar On Orignal TV Shows, Videos Which Can Be Access From Facebook Watch Tab. Bottomline- Facebook Movies Section Is Slowly Expanding Across U.S. And Currently In Testing. You Can Buy Tickets From This Section, Check Out Nearby Shows And Movies Info.